Hello everyone, I've got a little side project going called DoomHD. I call it a side project because I actually have another project which is a remake of Trespasser and I've been using the Doom project to learn new software and tools. 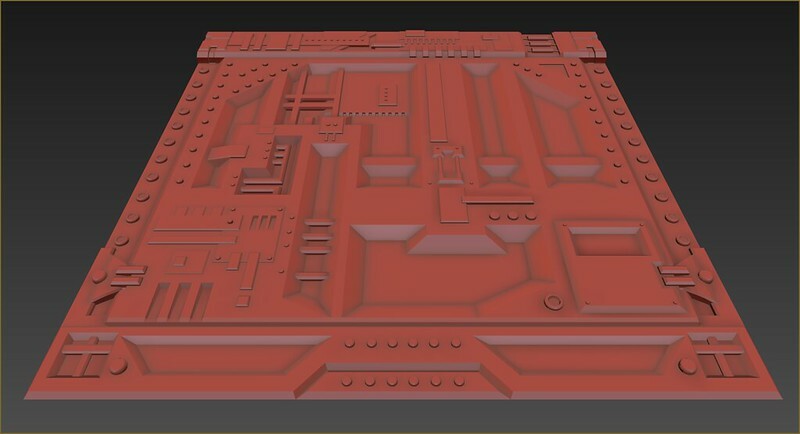 I'm having a little break from working on Trespasser and have started some more work on Doom so I can get up to scratch on modelling and texturing techniques. I'm currently hunting for an engine to test in, and Doomsday looks really nice. I've tweaked the settings to a point I'm happy with and it looks and runs really nice. I have some questions about the engine and what file formats it supports, and what it may support in the future. For model and level textures, can or will the following maps be supported; normal, height, specular? The engine currently supports md2 models, but will this be upgraded with a newer format? MD2 is from quake 2? Meaning it is keyframe animation and pretty low vertice precision? I'm not too worried about keyframe animation, and vertex precision is not that big of a deal, but at one stage it would be nice to have some skeletal animation for rag dolls and what not. Would be cool to have enemies heads follow you around, and watch them tumble down some stairs or watch the weight of their legs pull them over a ledge. 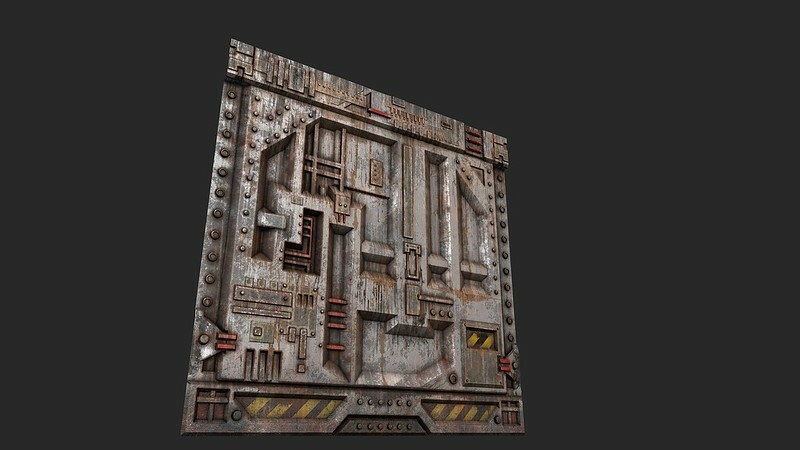 I've got a thread going over at Doomworld and have posted a few WIP shots of some exterior level models I'm working on. These are made by exporting the episode one maps as OBJ's and then building an exterior over top. The exterior is based on the building designs in the Intermission screen. The hope is to have an elaborate skybox +3D landscape with all the other levels visible in the distance. I hope to split the terrain and levels up and place them as decorative models over the standard maps. Are there draw distance issues that would make this impossible? Or as someone suggested, some engines won't draw a model if it's in a sector that you're either not in or can't see. So it could mean the model(s) disappear now and then, which wouldn't be good. Does MD2 have a poly or vertex limit? I want to make some very high detail models and use LODs, but I'm worried some of my models might be a bit high. I'm thinking 2500-3000 might be the absolute Max, for a boss model like spidey. I've got plenty more questions to ask, but I'll save them for another time. By the way, can anyone recommend a good blood patch or some kind of way to make blood decals stick around forever? I'm happy with the level of gore, I'd just like it to stick around for longer! we always try for around 5k but your numbers are good and once the new renderer is in for 2.0 it will support the MD5 format and we do have a tool for using the custom DMD witch is basically MD2 with LOD support. your best answers are on the wiki tho but i do not know how up-to date it is. I'm using 3DS Max, Mudbox and will eventually learn zBrush, as Mudbox is incredibly unreliable and quite often i've been unable to open my models again. I need to jump through hoops to get them to open again, then if it crashes or i close it, i have to go through it all over again. Autodesk has never once replied to any of my requests for help. They're incredibly unhelpful. I've just started using Quixel suite, and so far its really cool. 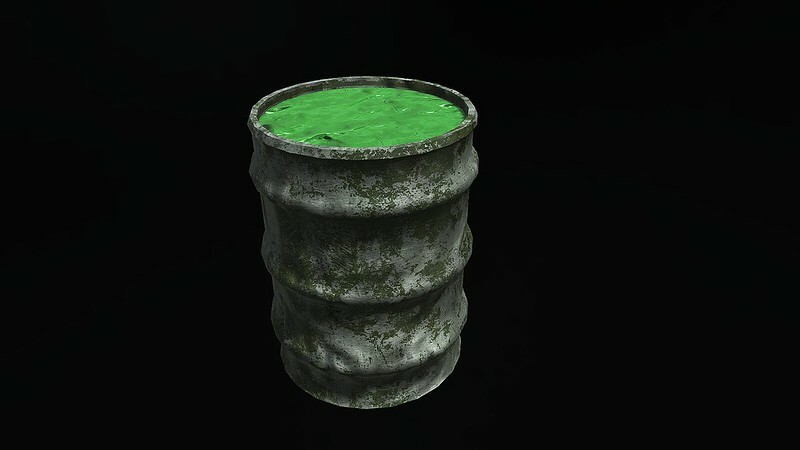 I made a barrel model friday and had a go at texturing it last night. Results are not too bad, but i've restarted today after making some tweaks to the mesh and color id map to help with seams. I'll probably add some subtle UAC lettering, perhaps a toxic logo and maybe some damage with a leaking hole. 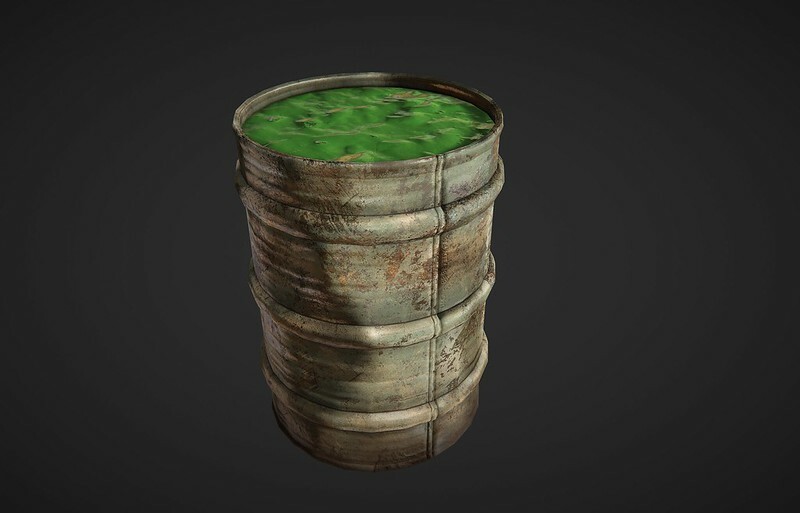 The slime texture will glow and hopefully animate with some bubbles and maybe some steam or something. I'll work on items and decorative objects before moving onto more important models like weapons and demons. FBX Format? You mean the engine supports it or you model using it? I'm not sure how you make the LOD's, but if any of you have Cryengine (the paid eaas version), it has an LOD generator built in which does a really awesome job. 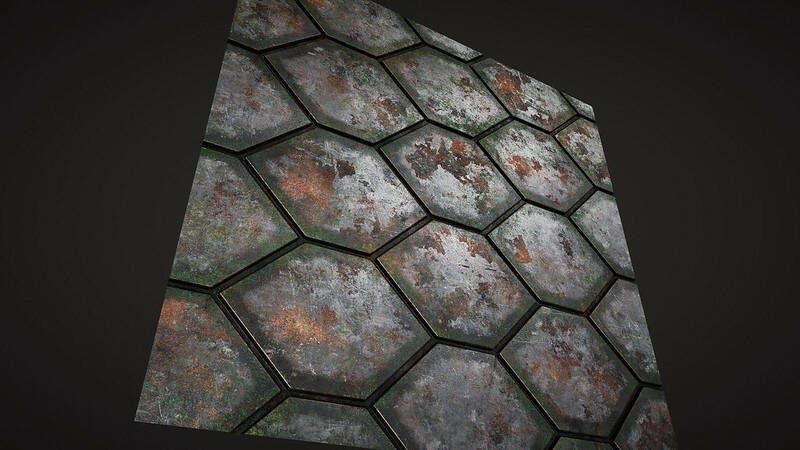 It makes new UVs and supports alpha textures too, which is great. Sure is a time saver! Hopefully i can get this barrel looking good and import it into Doomsday. I'll post some shots as soon as its in. Does the engine support normal maps? Or will i have to bake lighting into the diffuse maps? Sorry for the double post, but..
One thing i forgot to ask is does the engine support models with Quads or only triangles? I'm guessing the MD2 format requires triangles? If the current formats only support Triangles, ill have to make them that way, but it would be nice if Quads are supported in the future. most games support only tris not quads. A lot of new games support quads. Cryengine will be happy with models 100% quads. I suppose it depends on the game. I'm happy to make whatever it supports now, its just that editing with quads is so much easier if you have to go back and make changes. 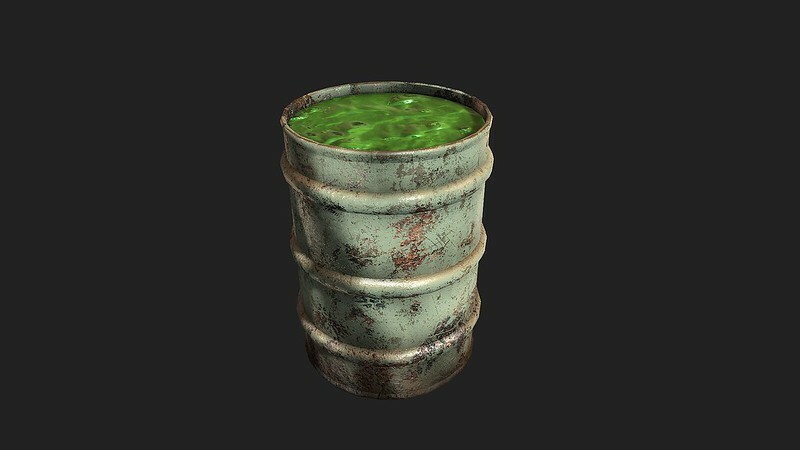 I started work on the new barrel..
Hey wanna help me with my Unreal engine 4 remake of classic Doom?I have made some of the models with zbrush but your models looks so cool I could use them to my project if you intrested. I would love to use a modern engine, but my inability to code means I'm at the mercy of a programmer. When I see a 100% functional doom, using just the original game assets, I'll be tempted. I want everything to be as it was in the original game too, so a functional auto map is a must, and to ensure the mod is used by others, it would need easy map support. In my about page on the blog, I said I'd love wad support added to a modern engine, that way any map can be played in it. Otherwise no one is going to learn a whole new SDK to make maps for it. I think this is a big factor in why the new Doom will be a bit of a flop. If that snap map is as lame as if looks, I'm afraid it won't take off like they hope. There's only so much you can do with prefabs. Don't get me wrong, some amazingly fun things will be made, but it's all going to look very similar and not allow for much in the way of creative level designs. Anyway, if you can write a wad loader for UE4 and play doom wads in UE4, I'll be pretty interested. So you are not interested in getting your models into doomsday? I'll be importing my models into Doomsday as soon as they're ready, but if there was a choice between a Doom engine and Doom running 100% accurately within UE4 or Cryengine, its an easy choice. Right now if normal, specular, height and gloss maps etc aren't supported, it kind of limits the potential of your assets. Spending the time to fine tune the materials only to have to bake them down to a flat diffuse texture is a bit of a let down. I'm not holding my breath to see a 100% accurate port of Doom in a new engine, so i'm going to plod along and make assets while the Doomsday and other Doom engines are updated. Barrel is starting to look pretty good now..
i get what you mean and that will not happen and you are not giving snapmap credit to where it's due since it's sub function is lvls but it's main part is the scripting and making new stuff even on console witch has never been done before in a way that make sense. making co-op expereances on an xbox one and have that transfer over to a pc or a ps4 is amazing and what we have seen of snapmap is just the beginning. That's not possible to play with doom wads or pk3 files with ue4.The other things like minimap and powerups could be done. I made an actual gameplay of my mod if u intrested about it. looks good but needs polish. Hi s13n1, your models are looking nice! For model and level textures, can or will the following maps be supported; normal, height, specular? ... The engine currently supports md2 models, but will this be upgraded with a newer format? As has been mentioned earlier in the thread, I am working on completely new model rendering code for Doomsday. You can follow the progress on the Blog. When creating any new models, I would recommend targeting this new model renderer exclusively, because it supports modern file formats like FBX (and MD5 + others). It also supports normal maps, height maps (for generating a normal map, not for displacement), emissive maps, and specular maps. 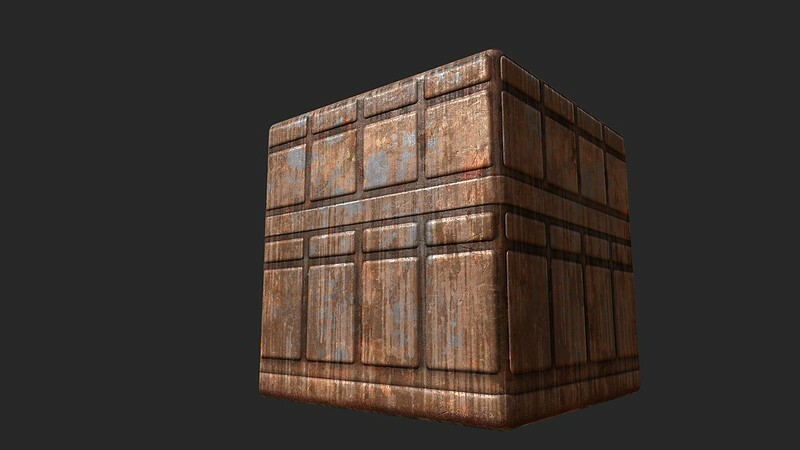 For level textures, there is no support for these yet. We're working on revising the map renderer to support the same kind of shaders and materials that the new model renderer supports. This is scheduled for implementation during the Doomsday 2.x series. 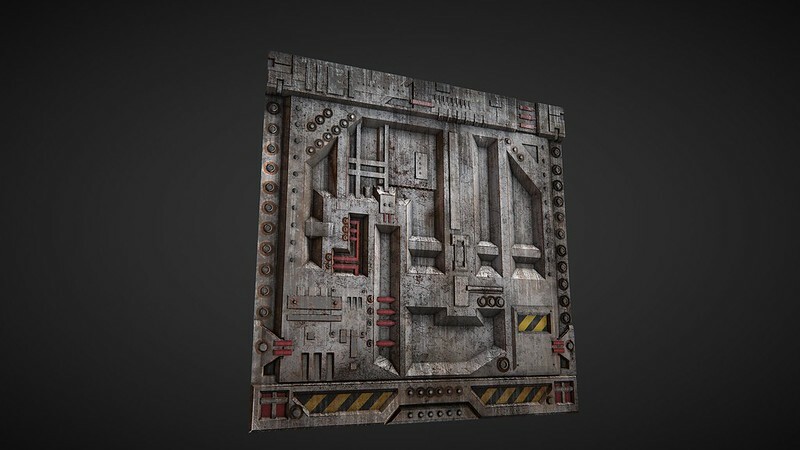 We are also planning to use 3D models as static decorations that can be attached to walls and other surfaces, to add additional details to the maps. In this use case, modern materials with normal etc. maps are of course supported for the get-go, because it will use the new model rendering code. That is correct. I would advise not using MD2 for any new models due to its severe limitations. The only upside to that format is that pretty much all versions of Doomsday support it, going back several years. at one stage it would be nice to have some skeletal animation for rag dolls and what not. Would be cool to have enemies heads follow you around, and watch them tumble down some stairs or watch the weight of their legs pull them over a ledge. Skeletal animation is supported by the new renderer — in fact, it is currently required for all new models to use skeletal animation. Rag doll physics aren't yet in the plans, but when more skeletal models have been created, it would definitely be something interesting to look at. In the current engine, models are indeed assumed to be representing map objects, so they will disappear if the sector is not visible. However, the planned decoration models will not be limited in this fashion. I thought Dday removed this limitation ages and ages ago; that Dday renders until the sprite/model disappears from view (well. 99.999...% of the time), rather than stopping rendering them when the sector the mbojs centre is in disappears from view? To my knowledge, all other ports such as GZDoom and Risen3D still stop rendering a sprite/model when the sector their mobjs centre is in disappears from view. ...someone suggested, some engines won't draw a model if it's in a sector that you're either not in or can't see. So it could mean the model(s) disappear now and then, which wouldn't be good. You are indeed correct, vermil. Modern Doomsday uses the same mechanism for spreading map-objects to all contacted BSP leafs as it does for dynamic lights. The bounding boxes of each submodel are united and used to determine all covered areas of the map the model(s) must be drawn in (when visible, according to said bounding box). ... stop rendering a sprite/model when the sector their mobjs centre is in disappears from view. Modern Doomsday uses the same mechanism for spreading map-objects to all contacted BSP leafs as it does for dynamic lights. The bounding boxes of each submodel are united and used to determine all covered areas of the map the model(s) must be drawn in (when visible, according to said bounding box). That is correct for the old MD2 model renderer. There it was even possible to determine bounds at the accuracy of individual vertices, since vertex-based animation was/is being used. The new model renderer uses the GPU for animating the model, and the vertex shader is free to transform the object however it wishes, so determining visibility has to be done solely based on logical bounding boxes (also, there are no submodels). This means that if a model for a mobj exceeds the bounding boxes assigned to it, it will disappear if the mobj is determined to be invisible based on its bounding box. However, this is not really an issue because appropriate bounding boxes have to be specified for each object (and in the future, decoration). Yeah. I think the main point to take away is that unlike other Doom ports (and regardless of the model renderer used) - Doomsday draws model visuals for map-objects when determined to be visible according to their bounding box; not simply whether the map-object's origin resides in a visible BSP leaf. Had to restart the Door from scratch due to some masking issues and also started work on Floor5_1. Looks neat. Looks like normal maps, if not geometry added. Shown are: albedo, normal, gloss and spec, projected onto the source geometry that i baked the maps from. Using the original mesh allows for better AO and shadows in the preview window. Tangent space normal map, Object Space normal map, Curvature map, Height map, Gloss map, Specular map, Ambient Occlusion map and Colour id map. 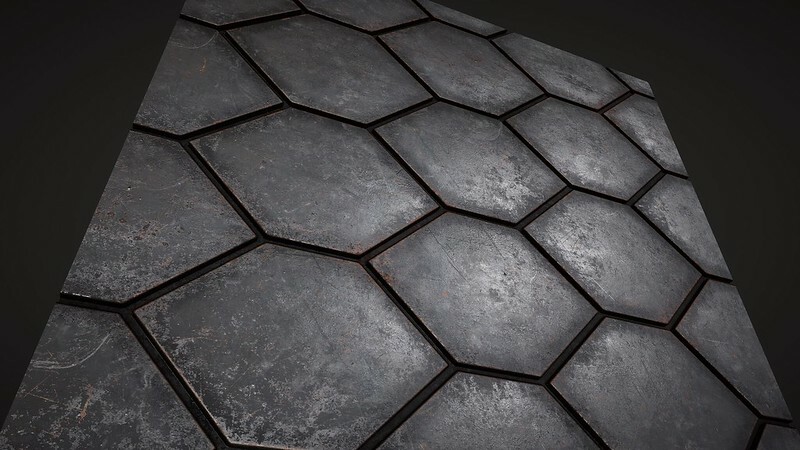 Can you send me your textures?I could use them in me UE4 Doom remake. I've seen your work on the Doomworld forums. Nice to see you here. - Ambient Occlusion (although the engine is planned to have SSAO in the near future). With Assimp, it's possible to support other formats (Doom 3's MD5 is currently also supported), but we are using FBX at the moment. Where can I found more info about that? I have already lots of hires materials with gloss/spec/normal maps for Doom.